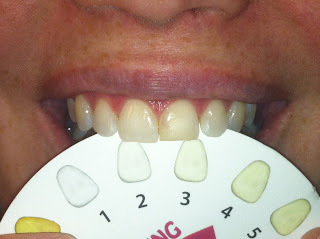 Perhaps most importance in our appearance is our smile, and having white teeth is an important part of that. I have spent countless amounts of money on bleaching my teeth at the dentist office, and lately they have seemed a little dull. I was thrilled to try out Dial a Smile. 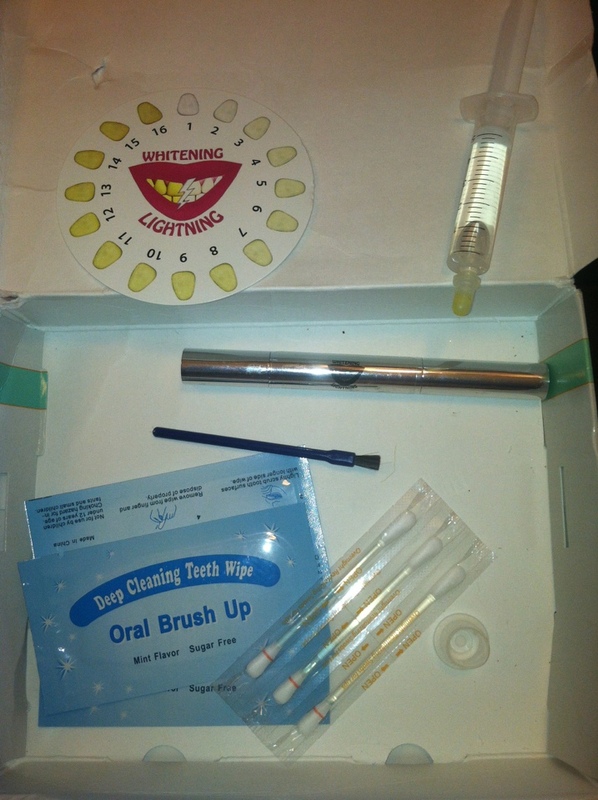 Dial a Smile is a teeth whitening program that you can do in your own home to make your teeth whiter and brighter. The kit complete with everything you need, and we also were given the super booster pen. My side/ eye teeth are quite darker than my front teeth and measured between a 5 and 6. 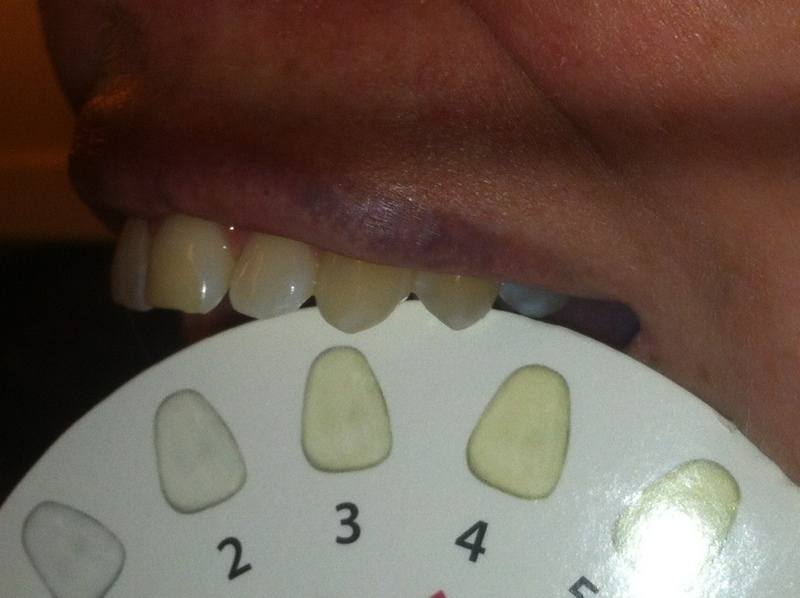 My front teeth measured between a 3 and a 4. 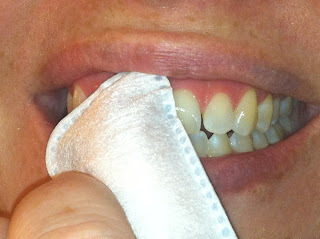 I wiped down my teeth to make sure they were both dry and clean with the fingertip towel they provided. After applying the gel, I placed the light on my teeth for 20 minutes. If you are doing this at home you will drool . . . A LOT . . . so make sure you have a towel and sink handy. My front teeth were 1 shade whiter after only 1 treatment (there are three in the packet). 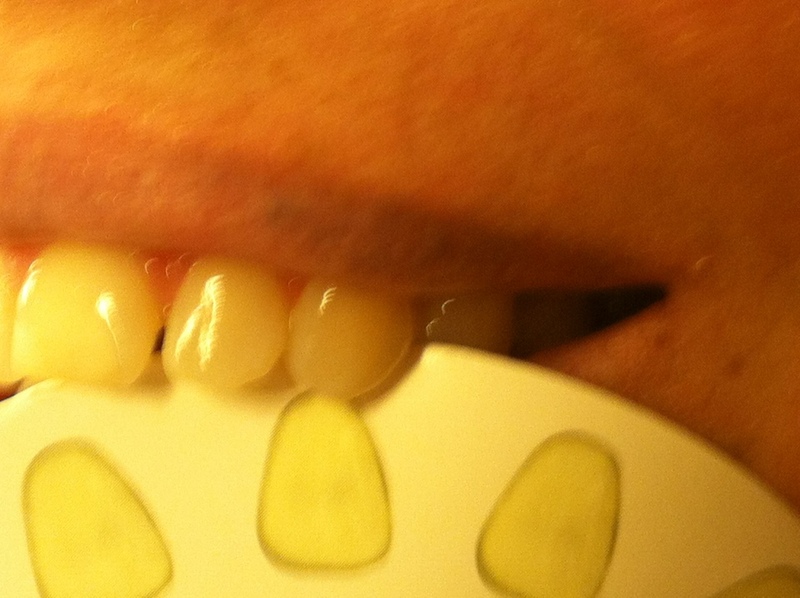 My side teeth were 2-3 shades lighter! ESPECIALLY if you have really yellowed teeth, this is an amazing product and MUCH cheaper than visiting the dentist's office. Oh Wow!!!! I need that products!!! All the coffee I used to drink has stained my teeth! This product looks like it really works well. 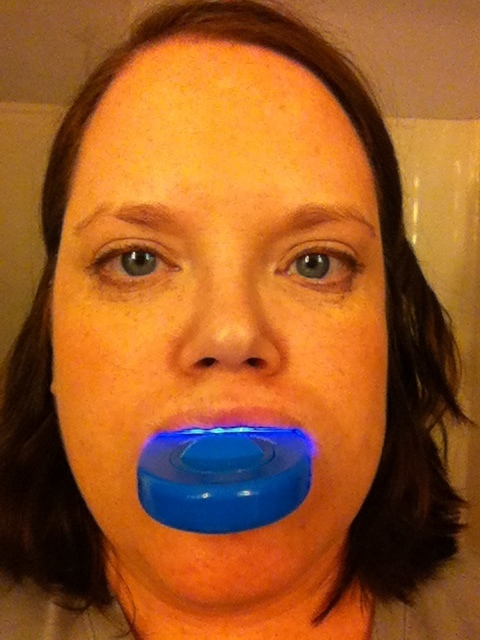 I have never used a whitening system but would consider giving this a try. That looks like it did an amazing job on your teeth. I was wondering how well this worked! Thanks for all the great pictures that showed that it really does work! I am definitely going to give this a try! Great review! 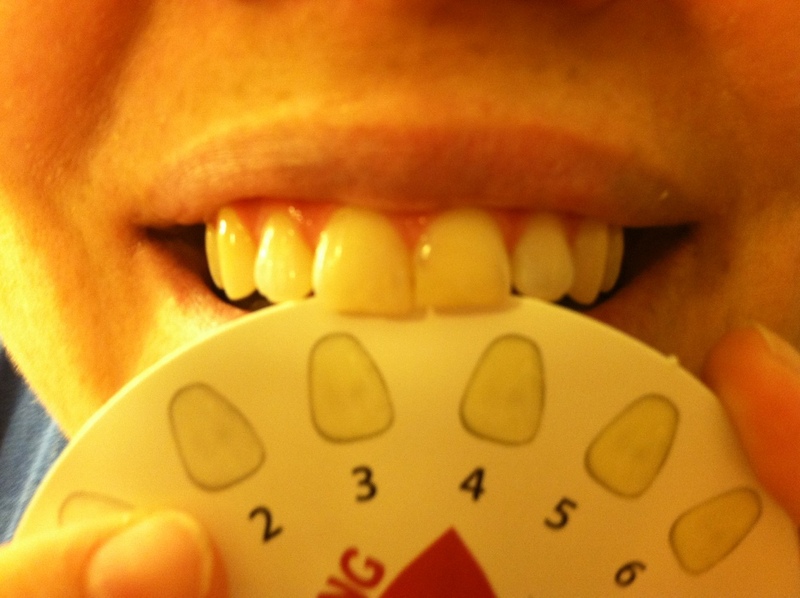 I love dial a smile it really does work! Thanks for posting such a great review with awesome pictures! I am a heavy coffee drinker, so this would be great for me to try. I love this kit! It lightened my teeth a ton in just one treatment! Hoy moly that works great. Glad to see you provided pictures, that's always helpful when trying to decide about a product.